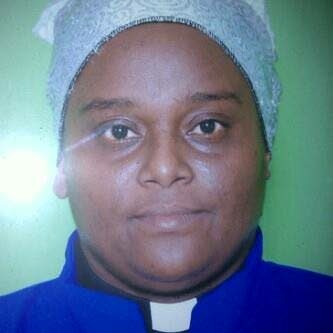 A 41-year-old Guyanese bishop is expected to appear before a Chaguanas magistrate tomorrow charged with the October 14 murder of pastor Alisa Ali. As the bishop, who heads a church in Longdenville, faces a magistrate, pastor Ali will be laid to rest after a funeral at her St Michael Divine Healing Tabernacle in Longdenville. Legal adviser PC Kyrn Lewis and the Homicide Bureau submitted a file on the case a few days ago to the office of the DPP for instructions. Yesterday evening, DPP Roger Gaspard advised police to charge the bishop with murder. Ali's killing occurred behind the walls of her church on Saturday night and was witnessed by her ten-year-old granddaughter. Ali, 42, of Gill Trace, Lamont Village, Longdenville, died at the Chaguanas District Health Facility. She was found by villagers on her bedroom floor after being stabbed in the face and chest. A police report said at about 11 pm villagers heard the child screaming and rushed to the house. The killer, with his hands dripping blood was seen running out. Police recorded a statement from Ali’s granddaughter, who told investigators she was on the bed with her grandmother when a close male relative and her grandmother began to argue. Hours later the bishop was found hiding at a house in Sangre Grande and was taken into police custody. Reply to "Bishop charged with murder of Alisa Ali "